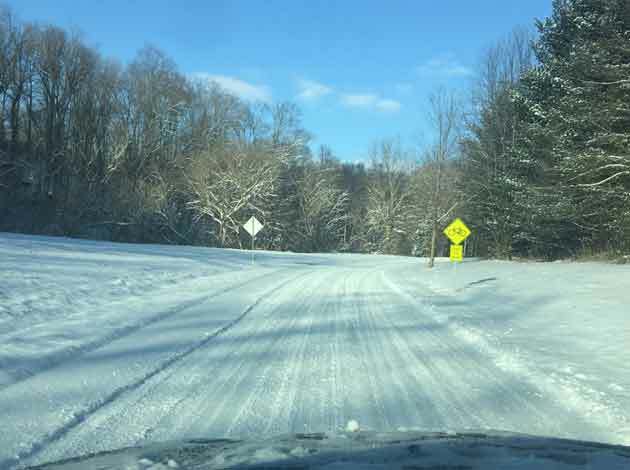 SOMERSET, Ky. (Jan. 16, 2017) – With snow and temperatures continuing to fall, all roads across Kentucky Transportation Cabinet (KYTC) District 8’s counties remain snow covered. On some main Priority A routes there are some slushy wheel paths, but in general roads are considered mostly covered with snow at this hour. Salt trucks and plow crews will remain out in force this evening treating and clearing highways. However, as we approach darkness temperatures will drop into the single digits and our treatments will no longer be effective. We ask for folks to be patient for it will take time to clear all roads. If motorists have to be out they need to use extreme caution. Follow District 8 on Twitter at www.twitter.com/KYTCDistrict8 or www.facebook.com/KYTCDistrict8 for updates. Bull Run Road Tuesday afternoon.